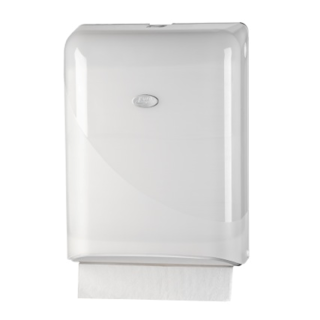 Wall dispensers for toilet paper, paper towels, soap and sanitiser. Dispensers for holding various toilet paper. Dispenser for Kiwi Tissue Jumbo Toilet Rolls Transparent - double roll. 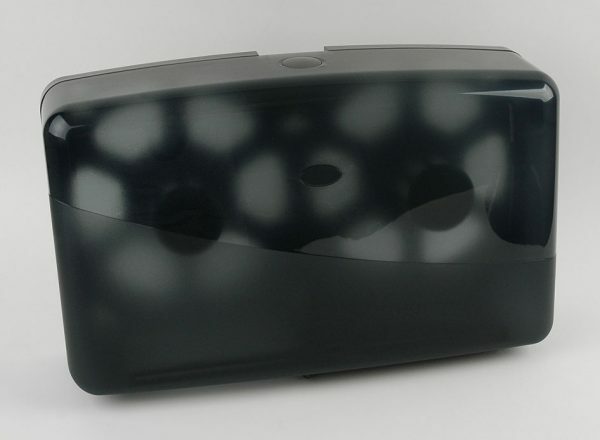 Dispenser for Kiwi Tissue Jumbo Toilet Rolls Transparent - single roll. Dispenser to fit ABC/Style Hygiene Centrefed Paper Towels. Allegro dispenser to take pouch refills of spray hand sanitiser. 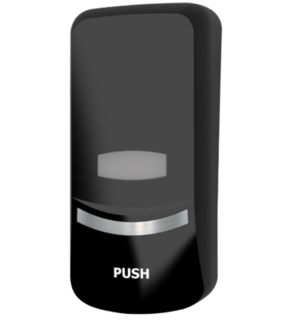 Stylish and smart, this keyless lock dispenser also has a sight glass to show when empty. Sight glass is clear - not pink as shown in the photo. 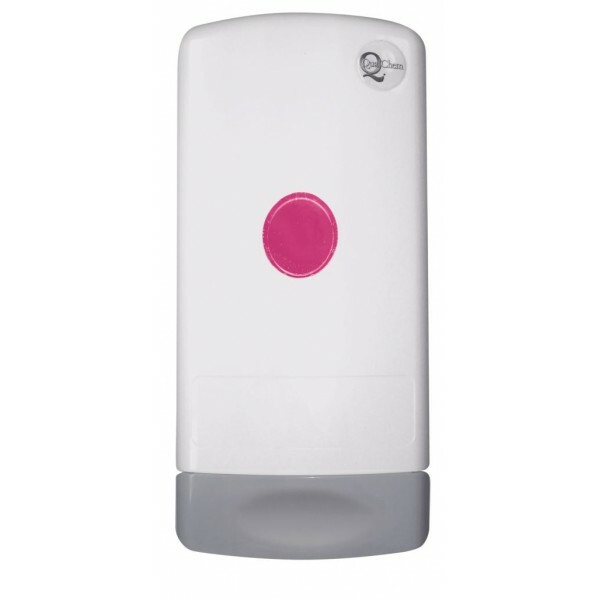 Bulk fill soap dispenser for foaming soap and Sanitiser. 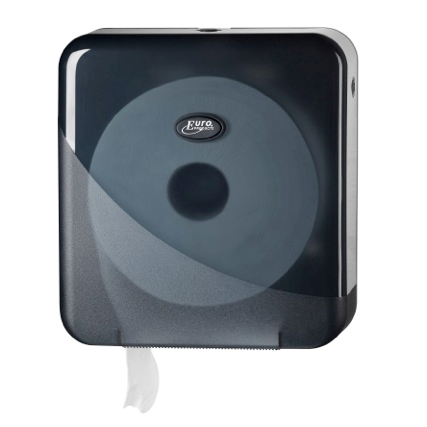 Dispenser to fit Coastal interleaf tissues and Half Wipes. 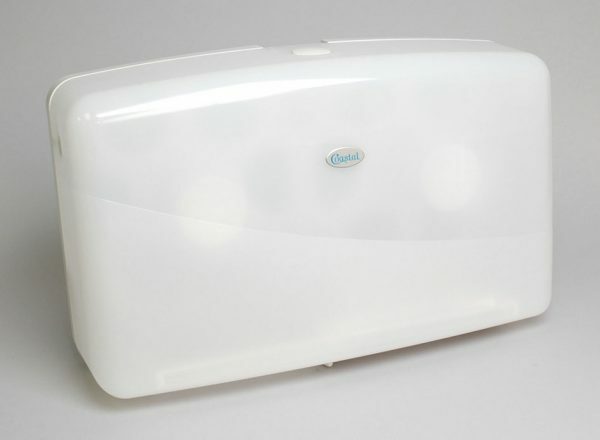 Dispenser designed for use with Livi range of interleaf tissue paper. Dispenser for Kiwi Tissue Jumbo Toilet Rolls - double rolls. Dispenser available Free on Loan - conditions apply. Double dispenser to fit Coastal Jumbo Toilet Rolls. Black. Double dispenser to fit Coastal Jumbo Toilet Rolls. White. Dispenser to fit Coastal Jumbo Toilet Rolls. Black. Dispenser to fit Coastal Jumbo Toilet Rolls. White. Dispenser to fit Coastal Midfold Paper Towels. Black. Dispenser for Kiwi Tissue Midfold/ V Fold Paper Towels. Paper towel dispenser for midfold 'V' paper towels. Designed for use with Gracefield and Livi paper towels. 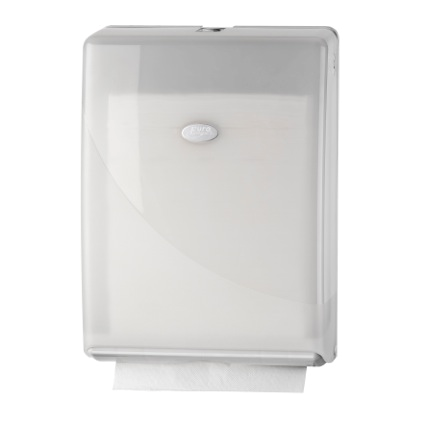 Dispenser to hold Livi Gracefield and Earthsmart Slimfold paper towels. Kiwi Tissue dispenser for Slimfold Paper Towels. Dimensions of dispenser: 430mm high x 285mm wide x 100mm deep. Dispenser to fit Coastal Slimfold Paper Towels. Black. 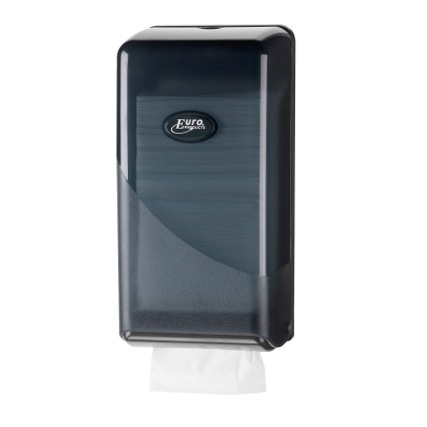 Dispenser holds up to 2 packs of slimfold paper towels (4000 sheets). Dispenser to fit Coastal Slimfold Paper Towels. White. Width: 265mm, Depth: 110mm, Height: 375mm. Dispenser for toilet rolls - holds 3 rolls vertically. Toilet roll dispenser - holds 3 rolls. 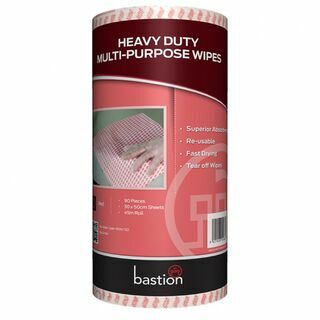 Designed for use with Gracefield / Livi toilet rolls / Cottonsoft. Dispenser for Centrepull Toilet Tissue. Check out the link below for a video on how the centrepull dispenser system works to save you money. 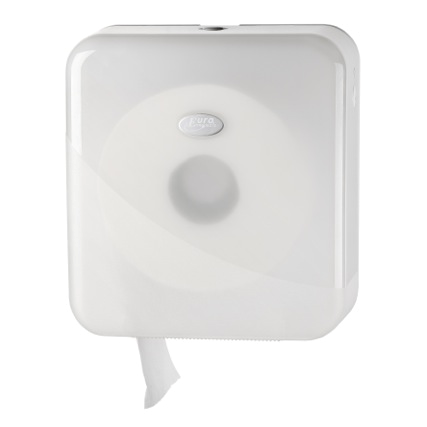 Dispenser for use with Gracefield / Livi Jumbo 1ply and 2ply toilet rolls. Talk to us today about free on loan options - conditions apply. Single roll dispenser for Jumbo 1ply and 2ply toilet rolls - Gracefield / Livi / Earthsmart brands. Foaming Soap and Sanitiser combination - cleans your hands and kills 99.99% of germs at the same time. Be twice as sure that when you wash your hands you are achieving a hygenic wash. Gentle on hands - D-Germ moisturises as you wash, will not dry out your hands. Rinses off freely, with no sticky residue. 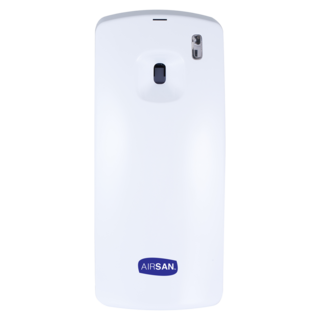 1.2 litre wall dispenser - empty, use 5 litre refill bottle. Dispenser to hold 2 x Jumbo Toilet Rolls. Dispenser to hold a single Jumbo Toilet Roll. 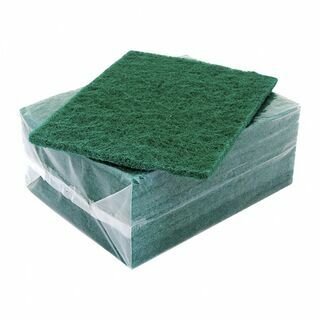 For use with Earthcare Jumbo rolls. Dispenser to fit Midfold Interfold 'V' fold paper towels from ABC/Style Hygiene. Can also be used to hold the ABC Mechanics Towels. Holds 1 packs of paper towels. 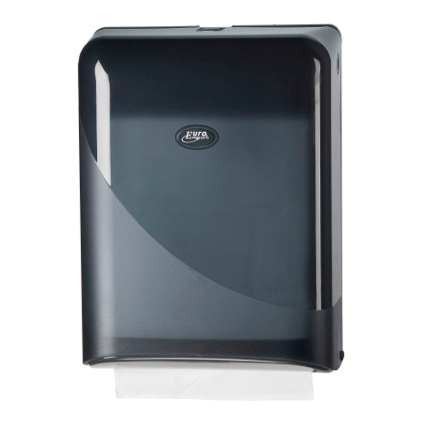 Dispensers to hold Slimline 'Z' fold interfold paper towels. Dispenser may be available free on loan - conditions apply. 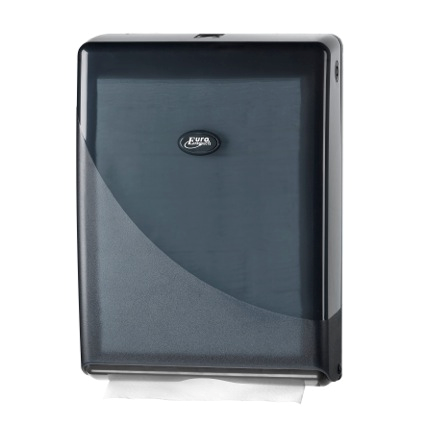 Dispenser for Super Slimfold paper towels - Style Hygiene and Puresoft. Dispenser to hold 3 toilet rolls. For use with ABC, Earthcare, Puresoft and Style toilet rolls. Call us to discuss free on loan option - conditions apply. 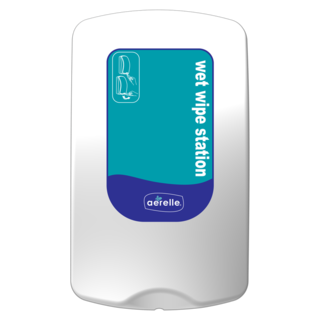 Aerelle Wet Wipe Station. Ideal for toilet sanitising. Each pouch has 200 wipes. 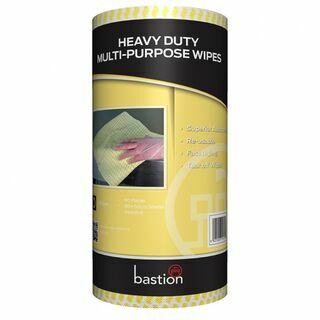 Size of each wipe is 125 x 130mm. Dispenser and Pouch of 200 wipes. Wipe refills available at $4.43. 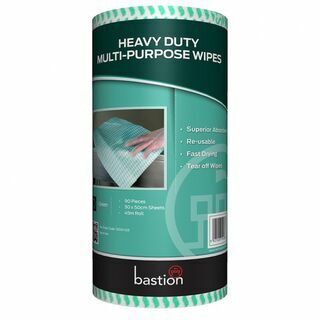 Bastion scouring pads are hard wearing and effective for scrubbing appropriate surfaces. Made from 50% Terylen and 50% Nylon, 200mm x 145mm. 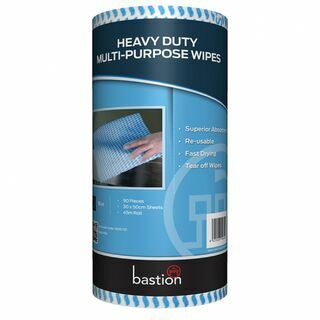 Bastion scouring pads are hard wearing and effective for scrubbing appropriate surfaces. Made from 50% Terylen and 50% Nylon, 200mm x 145mm. SLIM – Extremely low-depth dispenser for interfolded towel paper – 250 foils capacity – The ideal solution for all places where space is limited. 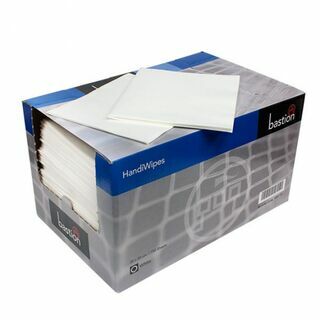 For use with Kiwi Tissue Compact Paper Towels. Dispenser for ABC Style coreless toilet rolls. See below link for rolls to fit this dispenser. 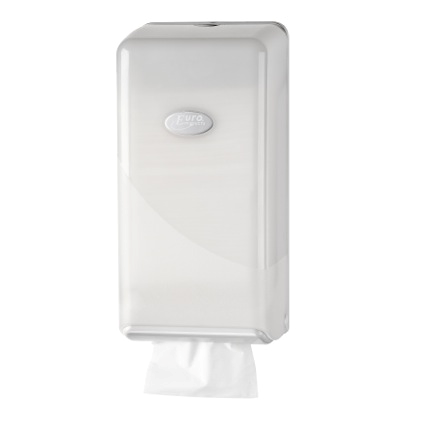 Dispenser to hold Kiwi Tissue brand interleaf tissue paper and half wipes paper towels. Available Free on Loan (conditions apply) or for purchase. 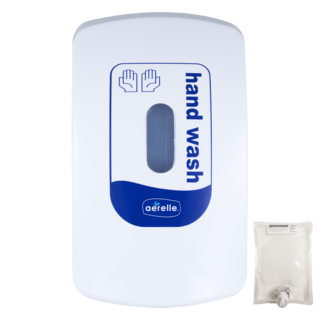 Aerelle is a uniquely transformable dispensing system able to dispense liquid and foam hand wash products. Furthermore, you can easily change the basic function of the dispenser to Hand and Toilet Seat Sanitisers or even a Wet Wipe Station. control use the disposable pouches and pumps. The easy-change pump and reservoirs are made exclusively for the Aerelle System Dispensers. PLEASE NOTE: THIS DISPENSER IS NOT REFILLABLE, IT REQUIRES A POUCH. 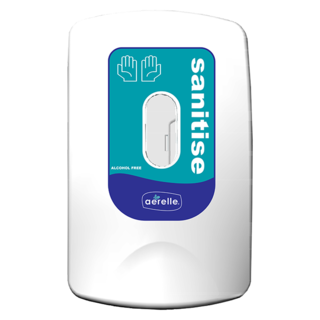 Dispenser for Aerelle foaming hand sanitiser 925ml pouches. Ezi-action® Drumpumps are the best hand drum pump in the world. They are the most dependable manual dispensing system for bulk containers. Ezi-action® Drumpumps are being used with confidence around the world in the hospitality industry because they are chemical resistant, securely fit into the lid opening, pump vertically keeping the container or drum upright and are reliable and cost effective giving years of use. Ezi-action® Drumpumps are food safe. All environments where food handling equipment is cleaned and surfaces are cleaned need to use handling equipment that is food safe. The Ezi-action® Drumpump has been designed with user safety in mind. They make a workplace safer and more efficient. 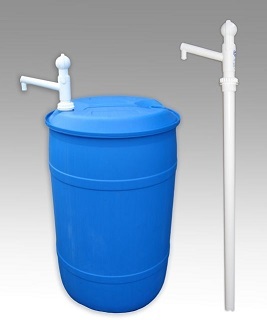 The Ezi-action® Drumpump allows the container to stay upright. Upright pumping means that the container is not on its side, not susceptible to leakage and the worker is not at risk from work injuries associated with repetitive bending and lifting of heavy containers. - Reliable and an excellent long term investment. 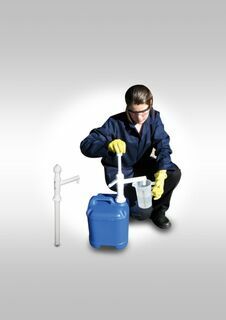 - Tolerance to concentrated cleaning chemicals, disinfectants and sanitisers. The Ezi-action® Drumpump has been designed with user safety in mind. They make a workplace safer and more efficient. Click on the titles below for more information. 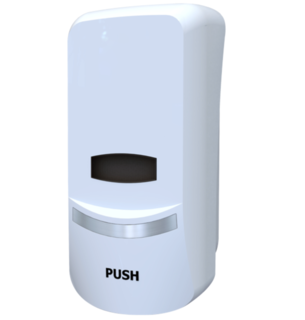 Bulk fill soap dispenser for liquid soap. High quality, white powder-coated, metal roll holder for vertical or horizontal roll use.